Stella Anderson Jeffs Reid, Castle Dale, Utah, 90 years old, passed away October 15, 2017 in Price, Utah. Stella was born August 6, 1927 in Castle Dale to Joseph and Sarah Elizabeth Cook Anderson. She married Archie Ray Jeffs on November 15, 1945 in Price, Utah. Their marriage was later solemnized in the Manti Temple. They raised 3 sons on the Jeffs Family Ranch. Archie passed away on April 16, 1958. Stella later married Edward E Reid on December 27, 1968. At that time she added 2 daughters to the family. Ed passed away on August 28, 2001. Stella was raised in Castle Dale and went to school at Central High School. After the passing of Archie, she took her three boys and moved to Provo where she attended The Hollywood Beauty College. After graduating, the family moved back to Castle Dale where she opened up a beauty salon in her home. Between the salon and the farm, she supported herself and her sons. She retired and closed the shop in 1985. She was an active member of the Church of Jesus Christ of Latter-day Saints where she held many positions. She served faithfully in the Manti Temple for 3 years and many years at the Bishop’s Storehouse. She loved crocheting, quilting, gardening and canning. She also loved to travel and camp with her many friends. Her greatest joy was her family. She was preceded in death by both husbands, parents, sister Pearl Brinkerhoff, brothers Floyd and Max, and her son Jay. 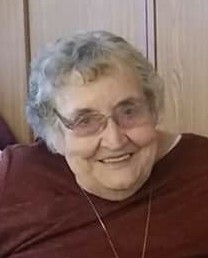 She is survived by her sons Lee (Pam) Castle Dale, Ray (Teresa) Orangeville; daughter in law JoAnn Jeffs, Castle Dale; step daughters Marie (George) Jensen, Castle Dale, Annette (Randy) Winder, Wellington; 21 grandchildren, 67 great grandchildren, and 4 great great grandchildren. Funeral services will be held Wednesday, October, 18, 2017 at the Castle Dale Stake Center, 50 East Main at 11:00 a.m. with viewing one hour prior to the service. There will also be a viewing Tuesday, October 17, 2017 from 6:00 to 8:00 p.m. at Fausett Mortuary in Castle Dale. Interment will follow in the Castle Dale Cemetery entrusted to Fausett Mortuary of Emery County. Special thanks to the great people at Parkdale Care Center, Beehive Home, and all of the doctors and nurses at Castleview Hospital. Family and friends may sign the guestbook and share memories of Stella at www.fausettmortuary.com. To send flowers to the family of Stella Anderson Jeffs Reid, please visit our Heartfelt Sympathies Store.